We would like to take this opportunity to give our deep thanks for your amazing support in 2018. 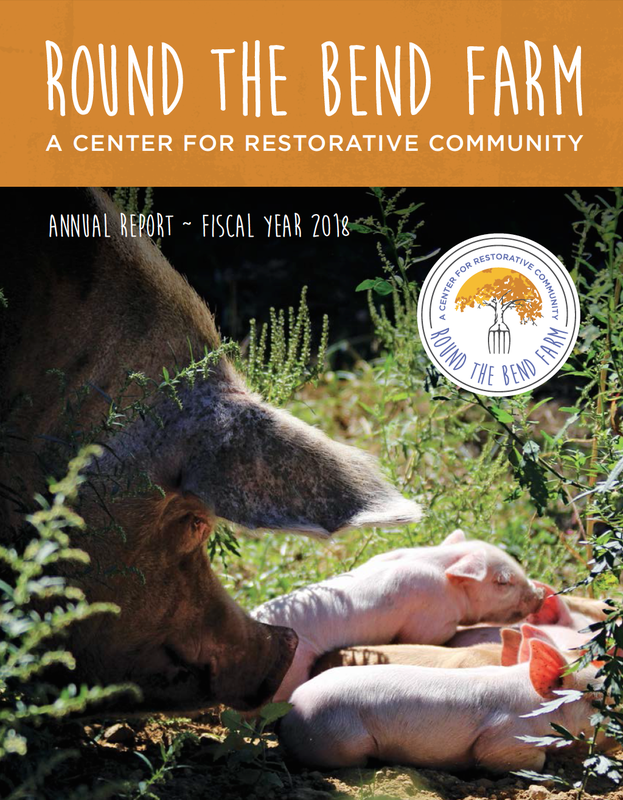 It was a very successful year for Round the Bend Farm (RTB), A Center for Restorative Community, and we couldn’t have done it without this community– and without supporters like you. In 2018, we expanded our educational programming with our field trip program; gave farm tours to approximately 1300 individuals; hosted a nature-school program for 3-10 year olds; and also offered our very first youth corps program for young adults 16-18 years old. As our Learning Center became complete, we began hosting sustainable events in that new space, in an attempt to diversify our funding base and inspire mission-based events that include zero waste and local, healthy food. And next door, at our new 55-acre RTB East, we installed 45-acres of deer fencing to protect the vegetation, while three agripreneurs worked the land to bring back healthy, nutritious soils. If you have a moment to curl up on the couch and peruse our 2018 annual report, we hope it may inspire you as many of you inspire us. If you feel so compelled and would like to further support our mission and organization, we would greatly appreciate it– and if you already have, we thank you for your generosity and love!